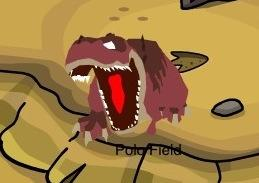 Yesterday, Polo Field released a sneak peek of the Prehistoric Party on the Club Penguin Twitter. Unsurprising, the Prehistoric Party will be similar to the Holiday Party, as you will be able to become a dinosaur and also use temporary emotes during the Fly, Stomp, and Roar Event! I also read that Gary the Gadget Guy will be the one who takes us back to the age of dinosaurs, which makes sense, given his level of expertise in science and technology. The Prehistoric Party will be available on the Island as early as January 17. I will also have the latest cheats and secrets for the said party right here on clubpenguincoins.com. Also, I recently launched a new tool for adding Igloo Likes, which is currently undergoing beta testing. Currently, I feel that the new program is ready for a production environment, meaning that the tool will not be removed from the site anytime soon. Furthermore, I plan on tweaking the number of Igloo Likes you can have in the CP Coins Queue to 100, though I am not sure when this change will take place. What do you think of the upcoming Prehistoric Party? Do you like the new tool for adding Igloo Likes? Please let me know what you think via the comments. This entry was posted in Parties on January 10, 2013 by admin.